By Reshma Seetharam. 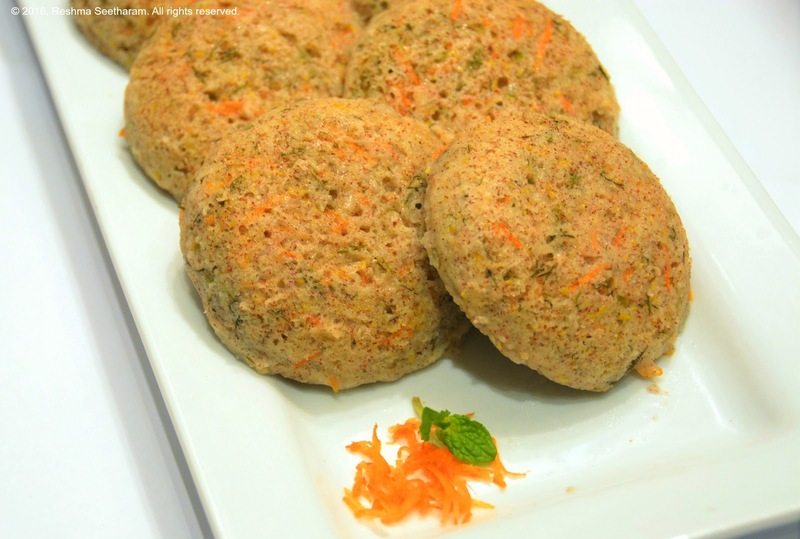 Filled with the goodness of greens, vegetables, millets, and fenugreek/methi, these idlis are a great breakfast idea for those watching their starch intake. Diabetics, here is an ideal swap great swap for the regular rice idli. Try it! Place the methi seeds in a glass bowl with 2 cups water. Cook it in the microwave for 3 minutes on high(you may also soak the seeds for 4 hours in warm water). Drain out most of the water, grind it to a paste. Set aside. 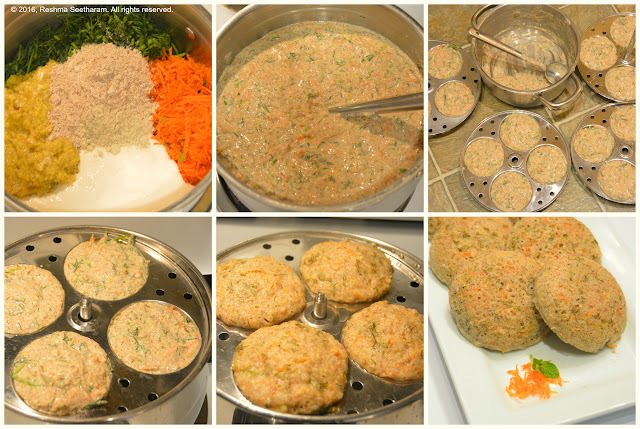 In a mixing bowl, add idli batter, dill, carrots, millet flour, methi paste, ginger, green chilies soda and a cup of warm water. Add more or less water to get the desired consistency. The mixture should be thick like yogurt or pudding. Set aside for 5 minutes. Prep your idli steamer. Grease the steamer plates. Add a scoopful of millet batter, stack the plates, then cover and steam for 15 minutes on medium heat. Serve with chutney or dal/lentil sambhar. Enjoy!